Our sleek black greyhound makes a fine contrast against the snowy backdrop of San Isidro ski station. His energetic charging about belies the few white hairs that are already sprouting in his fur. The ski station had long since closed for the season and the contrast between the hot, sunny Saturday in May and the deep blanket of snow that still enveloped the mountain tops provided the perfect physical illustration of the bipolar weather patterns of the last couple of months, as we have flipped back and forwards between spring and winter. Even this high in the mountains, at over 1500 metres above sea level, it is very unusual to see so much snow so late in the year. As we mucked about and laughed in the sunshine and snow I also couldn’t help but contrast the day with the last time I had been here. 20th December 2008, I ended the day in the first aid centre, with the ski-station’s doctor attempting, unsuccessfully, to re-place my dislocated elbow and putting a provisional cast on to protect my shattered ulna before sending me on my way to hospital. I eventually made it home on Christmas Eve, with a titanium plate and 7 screws in my forearm and a LOT of very strong painkillers in my bloodstream. It’s really no surprise that I hadn’t been back to San Isidro since. Despite the involuntary shudder that passed through me when I saw the dreaded torture chamber first aid station and as I spied the exact point on the slope where I had been taken out by a snowboarder, it felt good to be back at the scene of the accident, whole and healthy and happy. Indeed here I am, some 4 and a half years later, in an entirely different phase of my life but a phase that I may never have reached if it hadn’t been for that disastrous day on the slopes. With an enforced stop to all plans and activities for several months (no surfing, no climbing, no diy, no gardening, no writing, no trips) came an enforced pause for reflection and, with that, some life-changing decisions. And that’s the thing. Even in our bleakest moments there always exists the seed of as yet unknown joys. 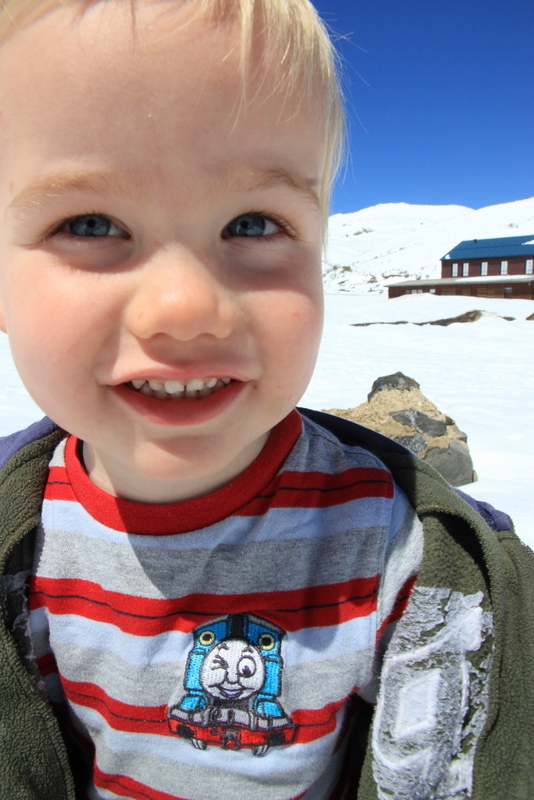 This entry was posted in Family, Life, Motherhood, Outdoors, Travel and tagged musings, ramblings, San Isidro, skiing by Mary. Bookmark the permalink. A very touching story 🙂 It was a turning point in your life, that fall. What a lovely line “And that’s the thing. Even in our bleakest moments there always exists the seed of as yet unknown joys”. Thanks so much for reading and for your kind words Barry. I love your final sentence. Thanks Iota. You’ve got to love that blue sky though, right?! Indeed, life does bring those twists! Would you ever have guessed??!! Yep – you really never can know what’s around the corner! I agree with Iota – fab last line. Sometimes you just have to go with where life takes you and hang onto the ride. Thank you. You’re so right – sometimes you just have to hang on for dear life! A beautifully written post, perfect for the theme of ‘contrasts’. I loved this post and like you am a great believer in what will be will be and what a fabulous ending! Lovely post and pictures. I am glad to hear that good things came out of your accident. Lovely, lovely post. That accident sounded pretty nasty – that must have been some collision, but nice to revisit the site in full working order. 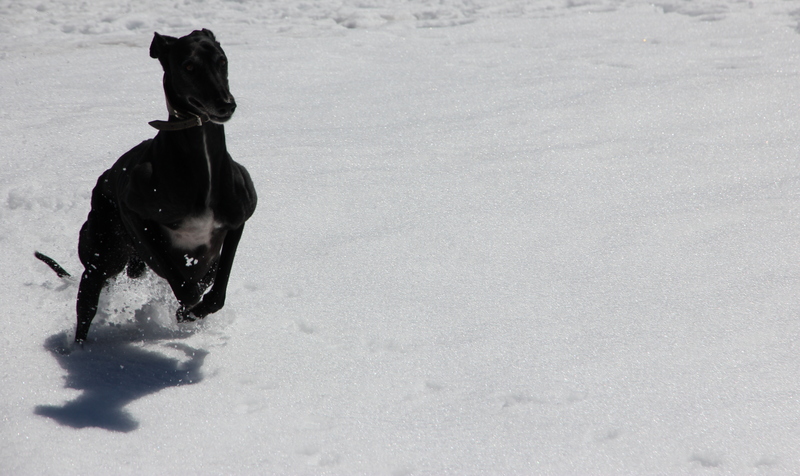 Love the picture of your grey hound – fab contrast! X.
That’s a fantastic view. But ouch about your arm, it sounds like it must have been extremely painful. Good to hear its all ok now though! Thank you! Yes, it was rather ‘ouch!’ at the time. Thankfully all in the past now. Some things are meant to be! I bet you wouldn’t have it any other way now. The accident must have been so hard for someone so active, at least you found a sport you could still do with a beautiful result! I’m glad you have faced your fearsome place in better times for some family fun. I am shocked to see the snow still there but it doesn’t look cold from what you are wearing. Wonderful pictures and a captivating story. Thank you for sharing on Country Kids. Sometimes it really helps to go back to the scene of something nasty and replace it with something good – I love the picture of your dog in the snow – beautiful! Thanks Kara. I couldn’t agree more! I have to be honest I shivered as well! Goodness. Great to know you had a better time second time round. 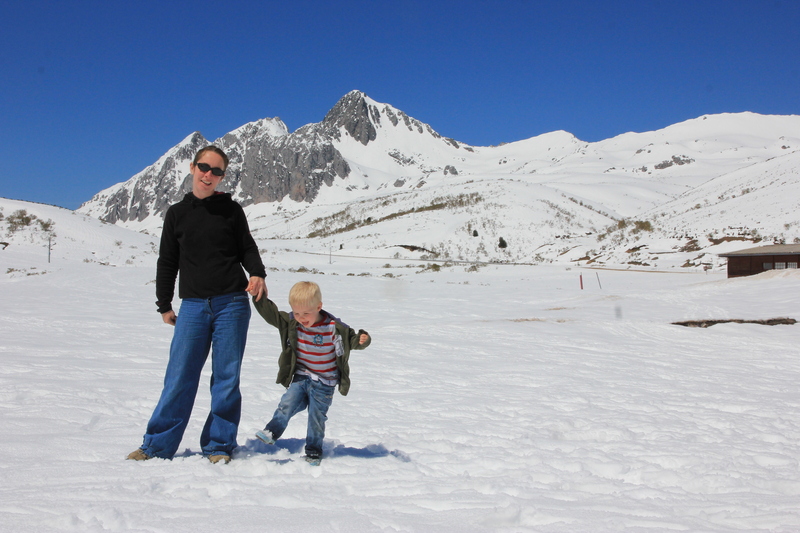 We went to visit a Glacier once in the summer in Italy and it was amazing trudging in the snow with shorts, t-shirt and sunglasses! It is a weird feeling being in the snow but in summery conditions isn’t it? It all sounds so adventurous to ‘nip’ across mountains. Wonderful photos and yes the terror of that previous adventure did not show at all! Thanks so much for reading and for your lovely comment. Such a gorgeous touching post…. Things really do happen for a reason don’t they? Thank you for replying and added a link back to me. That´s very kind of you, you didn´t need to do that.